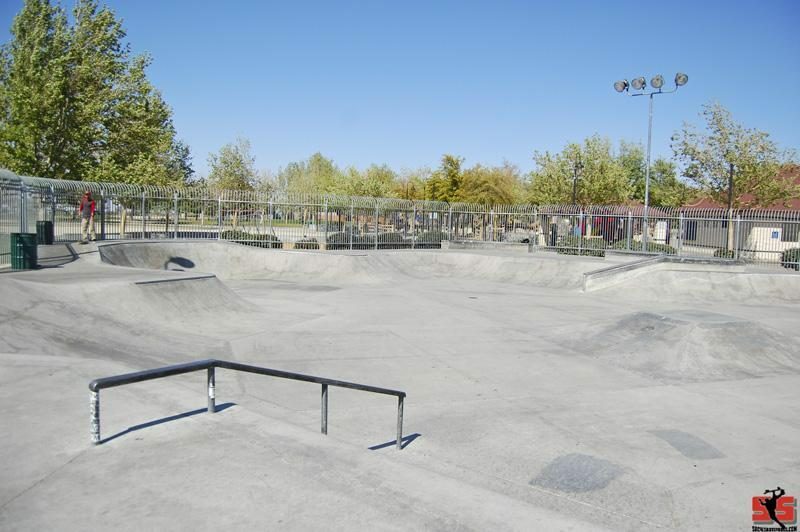 Nothing really fancy about this skatepark Banks,ledges,rails and small quarter pipes. 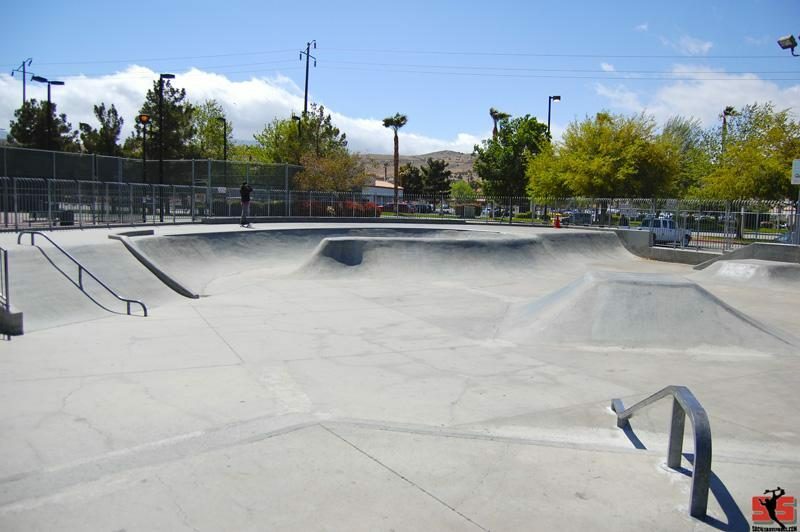 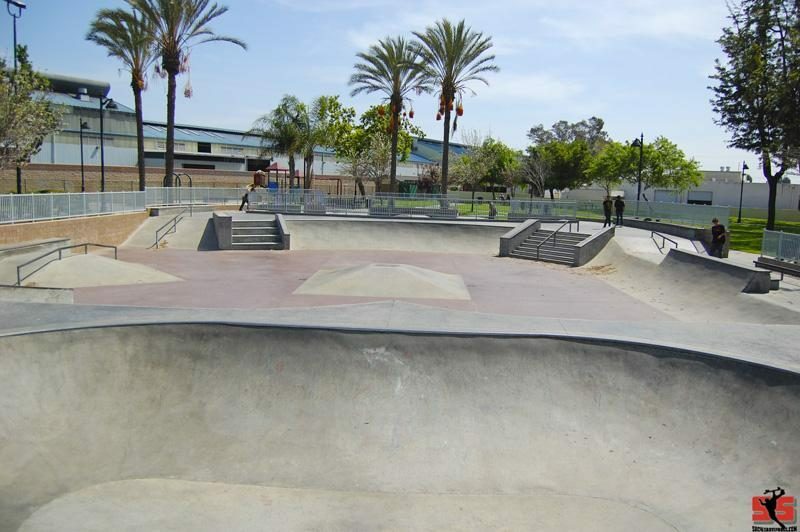 A small concrete skatepark with a weird bowl a pyramid,flat rail,fun box and rails going down banks. 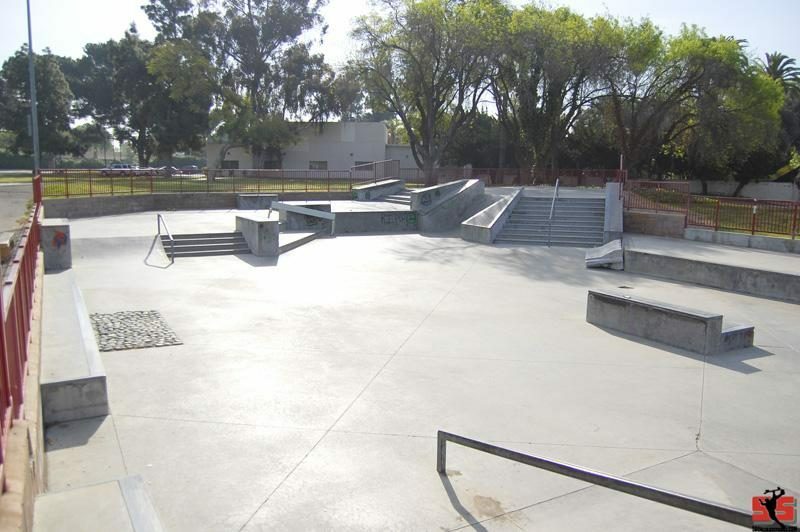 Ledges,funbox,rails,stairs and lots of flat.